BURBANK, Calif. – The Walt Disney Archives returns to D23 Expo with an all-new exhibit, “Walt Disney Archives Presents––A Pirate’s Life for Me: Disney’s Rascals, Scoundrels and Really Bad Eggs.”Disney’s most memorable marauders, from Peter Pan’s Captain Hook to Pirates of the Caribbean’s Captain Jack Sparrow, will be on display July 14–16 at the Anaheim Convention Center during the biennial event,presented by D23: The Official Disney Fan Club. The 12,000-square-foot exhibit, located on the Expo show floor, will honor Disney’s treasured pirates from film, television, and the beloved Disney parks attraction that has thrilled guests from Anaheim to Shanghai.Hundreds of iconic and never-before-seen items will be on display. Objects featured in the exhibit include Audio–Animatronics figures from the original Disneyland attraction, a ride vehicle from Peter Pan’s Flight, and artwork and imagery from Treasure Island, Peter Pan, as well as an unproduced Donald Duck animated short, featuring the irascible duck searching for swashbuckler gold. 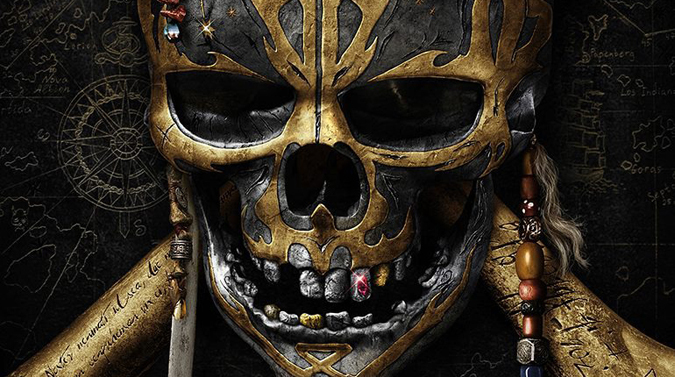 The action-packed film franchise is represented with original costumes worn by the star-studded cast, Davy Jones’ pipe organ, a 23-foot-tall set model of the Black Pearl ship, the Dead Men’s chest, and more original props and set pieces, including items from the new film, Pirates of the Caribbean: Dead Men Tell No Tales. Fans can join D23 at Gold and General Membership levels at D23.com and at DisneyStore.com/D23. To keep up with all the latest D23 news and events, follow DisneyD23 on Facebook, Twitter, Instagram, Pinterest,and YouTube.